The lines stretch down the block in Harvard Square. Everyone wants a taste of Milk Bar, the Cambridge outpost of the New York bakery, which opened here in February. Celebrity chef Christina Tosi is known for cheeky creations like Cereal Milk soft-serve ice cream and Compost Cookies, made with chocolate chips, pretzels, potato chips, and much more. 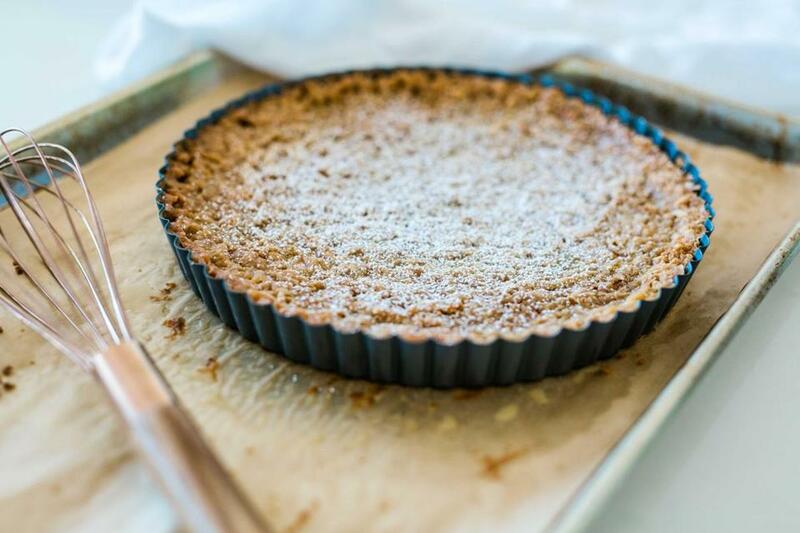 But perhaps the most famous item on Milk Bar’s menu is the super-sweet, oat-crusted Crack Pie. Crack Pie? That’s not cute. Milk Bar debuted in 2008, a spinoff of David Chang’s Momofuku restaurants. If it seemed funny a decade ago to name a dessert after an addictive drug, the joke was one of privilege. The crack epidemic of the 1980s hurt largely poor, largely black communities, not the people who were heading to the East Village to spend $5 on a slice of pie (the price has since gone up to $6). Now the country is in the grips of an opioid crisis, and a double standard. This addiction affects white communities as well — 78 percent of those who died from an opioid overdose in 2017 were white, according to the Henry J. Kaiser Family Foundation — and our cultural response to it has been very different, with dialogue often centered on treatment rather than incarceration. Regardless, here we are. Americans are now more likely to die of an opioid overdose than in a motor vehicle crash, according to a report from the National Safety Council. A bakery would never try to market something called Fentanyl Cake, and the name Crack Pie feels offensively off-key. With its high pressure and ever-present alcohol, the restaurant and hospitality industry is particularly vulnerable to substance-abuse issues. A 2015 study from the Substance Abuse and Mental Health Services Administration finds it has the highest rate of substance use and third-highest rate of heavy alcohol use (after mining and construction) among industries. People are now working from within to help shift the culture. High-profile chefs such as Sean Brock of Husk and David McMillan of Joe Beef are speaking out about their experiences with alcoholism, addiction, rehab, and sobriety. Kat Kinsman, an editor at Food & Wine, started Chefs With Issues, a mental-health resource for the industry. Organizations such as Restaurant Recovery and Ben’s Friends aim squarely at the issues of substance abuse and addiction. The country’s best bars are increasingly including low-alcohol and alcohol-free cocktails on their menus. Food festivals, events known for debauchery, are beginning to incorporate substance-free spaces. It’s possible to lead by example, in ways big and small. It is a moment to pay attention to the way we talk about food, to stop speaking lightly about addiction and equating it with deliciousness. Because no matter how sweet it is, Crack Pie is just in bad taste.